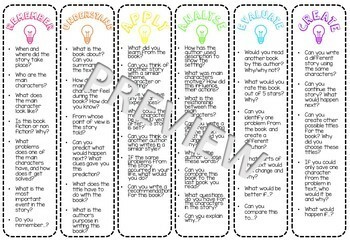 Bookmarks for all six levels of Bloom's Taxonomy - made in 2 different sizes for whatever is suitable for you. 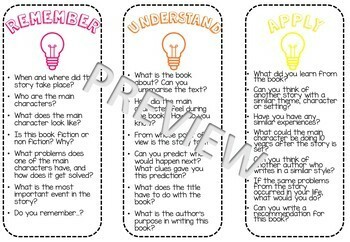 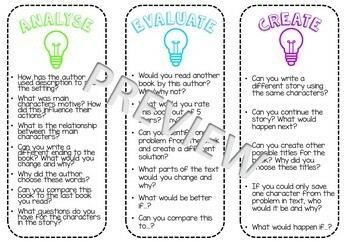 These bookmarks can be used during independent reading, guided reading or literature circles to help prompt students to answer higher order thinking questions. 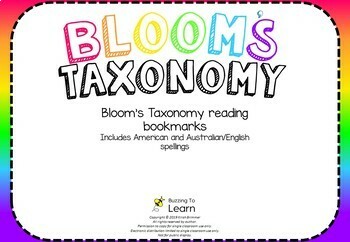 Please leave feedback on my store!